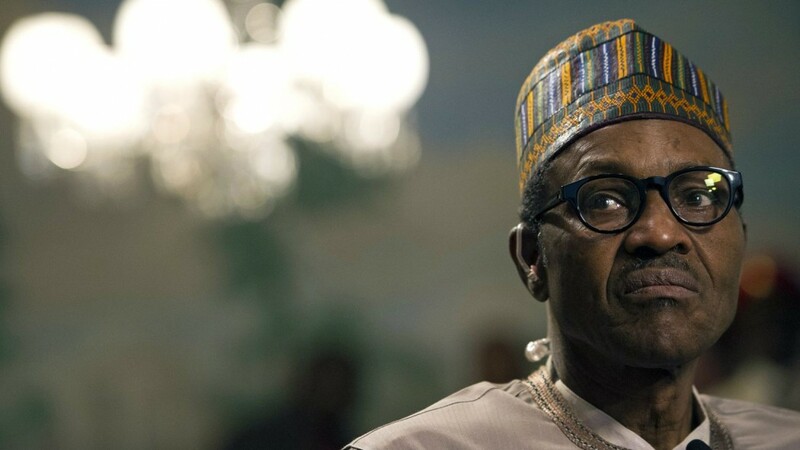 Nigeria Gists: #MustRead: Can President Buhari Keep Hope Alive? #MustRead: Can President Buhari Keep Hope Alive? President Muhammadu Buhari is a man on the spot as he enters the second, and most critical, year of his Presidency. It is going to be a make or break year. There can be no illusions of another year of grace, another year of alibi of the inherited rot. What, then, are the prospects of President Buhari passing the litmus test of people-oriented governance to keep the hope of Nigerians alive for a better tomorrow? I would say the prospects are mixed – and the scale can tip either way, depending on the President’s moves in the next few months. That is saying the omens are dicey. Die-hard Buhari loyalists are fanatical in their unalloyed support and hope that the future is bright while those opposed taunt Buhari disciples – see your man! See all the escalating problems! Change, change, change indeed! It is gratifying that those in the corridors of power seem to appreciate that things could be better. His communication team have been trying, mightily, to stem the tide of discontent without playing the ostrich. Mallam Garba Shehu, the President’s Senior Special Assistant on Media and Publicity in a two-part write-up in The Nation newspaper of Thursday, June 2 and Friday, June 3, 2016 highlighted the various achievements of the Buhari Presidency in its first year. Garba had enthused: “Would anyone have thought that a former Chief of Defence Staff, Service Chiefs, pretenders to thrones, the children of ‘natural rulers’ including ‘toy’ Sultans, Kings, Emirs and Chiefs, would be brought to trial and kept in prisons?” He described this development as “one of the key milestones of this administration”. I agree with him, but critics snicker: So what ? A dismissive “so what” attitude is rather uncharitable. Demystification of pompous potentates who carry on as “untouchables” is a major step in restoring order and sanity in the nation. Garba listed infrastructure developments, diversification of the economy and welfare programme, including the contentious N5,000 monthly stipend for one million of Nigeria’s poorest of the poor and foreign direct investment inflows he attributed to the President’s foreign travels as other dividends in the first year. These, however, remain intangibles, for now, to the general public. In this second year of the Buhari Presidency, there is the promise of 500,000 teaching jobs for graduates, micro-credit scheme to empower 1.5 million Nigerians and HomeGrown (what is that?) School Feeding programme to serve 5.5 million pupils in primary schools one free, hot (really) meal daily. No doubt, when implemented, all of these will have multiplier effects. The decimation of the terror sect, Boko Haram, is a tangible achievement except that it is being subsumed by the ferocity of rampaging herdsmen militia and the marauding Niger Delta Avengers who are poised to cut Nigeria’s economic jugular by laying waste the oil fields. What I find interesting is Garba’s gratitude that, “Happily, voters are STILL (capitals mine for emphasis) hopeful that President Buhari will produce the cure for the ills of the economy” given his concession that “early enthusiasm and high expectations have their challenges”, apparently for the administration. Using the operative words, “happily” and “still” is, I assume, the Presidency’s acknowledgement of the patience of the populace. Worried by the State of the Nation, bishops of the Anglican Communion in Nigeria, led by its Primate, Archbishop Nicholas Okoh, were at the Aso Rock Villa on Friday, June 3, 2016. “We told him (President Buhari) many things. We are all looking for solutions to issues of the herdsmen, vandalism and security in one way or the other because the people are asking us and we want to have explanations for the people we lead”, Archbishop Okoh told journalists covering the Villa after the meeting. Okoh said the delegation was satisfied with explanations given by the President on efforts being made to tackle the issues raised : “So, we have hope, we have a message for our people”. HOPE. The question is: How can President Buhari sustain hope for the people in the current near dire straits in Nigeria as anarchy looms ? It is instructive that the bishops did not highlight the corruption issue but were preoccupied with the state of near lawlessness in the nation. This should be a signal to the Presidency that its seeming one-dimensional concentration on the titillating anti-corruption crusade of the Economic and Financial Crimes Commission is not resonating well enough, as intended, with a public living under fear and uncertainty. Yes, it is good to chase after the money, but President Buhari should not forget that it was the law and order antecedent of his first coming as military Head of State – 1983-1985 – that was the rallying point for the people. He cannot let them down on this. So, what actions can the President take to turn the tide of pervasive insecurity to one of law and order? The President would need to deploy the ethnic card – let the various ethnic leaders confront their ethnic demons, but charity starting at home with Mr. President taking the stick to his rampaging Fulani kinsmen – the herdsmen turning into a militia force. If he can muster the courage and nationalist fervour to do this, it will be signal action for others. There is a precedent – President Olusegun Obasanjo decisively confronted the militant Yoruba irredentist group, Oodua Peoples Congress, and tamed it. Today, Gani Adams, the factional OPC leader, is “GENTLE”. Unlike what is happening now, when Obasanjo made a grab for Adams, no Yoruba leader made excuses for or came to the militant’s defence. If President Buhari can similarly tame his Fulani kinsmen herders, he will be on a high moral ground to get the double-speaking Ijaw leaders to take on the Niger Delta Avengers and the seemingly conniving Igbo leaders to face down their increasingly violent sons in the separatist movements. There is an urgent need for a counter narrative on Niger Delta’s serial militancy, especially in a democracy, where the region has elected governors, senators, Assembly members, council chairmen and in spite of concessions of 13 per cent additional allocation from the Federation Account, a Ministry of Niger Delta Affairs, the interventionist Niger Delta Development Commission and the Amnesty programme. Elected officials from the Niger Delta region and the South-East, through whom constituents are expected to channel their demands and grievances, should not continue to escape censure for their failure of leadership if violent, amorphous groups now become the vanguard of the regions. It is a shame, but then shame is in deficit among many in Nigeria’s leadership class. These elected officials should not be allowed to blackmail the Nigerian state through their extremist, violent children while they live in opulence in Abuja and Lagos and even become NEGOTIATORS ! Fathers and leaders who feign loss of control and influence over their violent agitator children and people, cannot turn around and rail against the state when security forces seek to restore order. So, to keep hope alive, President Buhari must develop ingenuous strategy for people to live in safety. Ultimately, with Niger Delta Avengers’ impertinent conditionalities for peace, a showdown with groups and their conniving leaders in the perpetration of mayhem and other violent criminality, irrespective of political affiliation or status, may be inevitable, down the road, if law and order, the hope of the people in the Buhari Presidency is to be realized. No doubt, it is a daunting task, with the forces ranged against the Presidency, but not an impossible one. Security of life is the most critical guarantee of hope for a brighter, prosperous future. To live in fear, given current pervasive insecurity and uncertainty, is to kill that hope. - Dr. Olawunmi, Senior Lecturer, Department of Mass Communication, Bowen University, Iwo, is a former Washington Correspondent of the News Agency of Nigeria.